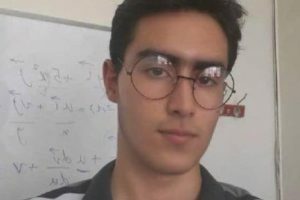 Editor’s Note: Iran Press Watch was saddened to learn of the recent expulsion of three Baha’i university students (http://www.iranpresswatch.org/2009/03/expulsion-3-sahand/), and has hastened to publish below in translation an account shared by one of the three youth. 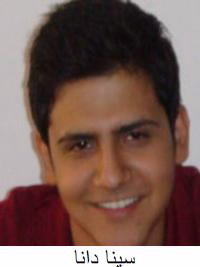 It was late in September 2008, around 11 a.m. in the morning, when my brother, who was himself expelled from university because of being a Baha’i, contacted me and told me that because of my selected major, I had been accepted in the Medical Engineering field at Sahand University in Tabriz. I was thrilled and excited that I could continue my studies in a public university and become a contributing member of society and a true servant to my homeland. I referred to the university website and noted the registration requirements. In accordance with the relevant rules and regulations, I went to the university on the specified day. The registration form asked for the applicant to identify his religion, but fortunately the multiple choice block allowed for “other religion”, which I selected. Registration was completed without any difficulties and I was accepted as a freshmen student. I had good and positive feelings, since I could study along with other students from all over Iran with different backgrounds and learning experiences. It went in this way until the university began to issue student identity cards. Similarly to other students, I awaited for my student card. After some time, however, I noticed that all other students had received their card, but I had not. So, I went to the responsible officials and they told me that they did not know the reason for this delay. However, they promised me that they would follow up with this and stated emphatically that this delay would cause me no problem, and that I would be able to take my exams without a student ID card. Despite all these events, I started my first term exams and thanked God that I had been able to finish the first semester. With my completion of the first semester, it was time to select courses for the second term. Like all other students, I went through the course selection process and started the second term. From the very first day of the second semester, when I checked the university website, there was no information about my course registration. That indicated that I could not participate in classes like everybody else and could not continue the normal process. Several times, I contacted the responsible school officials and they stated they had not been told anything about my situation. Each time, they expressed themselves in words that made me confident that I could proceed with my courses like other students. However, on March 3, 2009, even my identification disappeared from the university website. When I tried to log into the site, the notice came up, “This user has been deactivated.” When I saw this message, I contacted the university.After several hours, Mrs. Cheraghi, the person in charge of the operation and the President of the university, eventually answered my phone calls and said to me that the Organization for Educational Evaluation and Assessment had removed my name. She added that only by following up through this organization could I regain admission. When I asked for the reasons behind my expulsion, the President put down the receiver without giving a response. Is this really the end of my education? 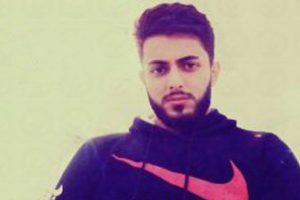 Am I going to be another Iranian Baha’i youth, similar to the thousands of other Iranian Baha’i youth, who have deprived of higher education? Have I been expelled from the university with no reason or evidence solely because of the whim of the Organization for Assessment – an organization whose role should be to empower individuals to attend universities, and not to close such windows of opportunity to them? What answers can be given to these questions? Should I be deprived of continuing my education in this country, because my beliefs are different? What would be the reaction of the other students who are now studying at this university? Would another student in the second term face the same challenging question by taking the seat of Sina Dana? Does shutting off any dialogue as easily as cutting off a phone contact end everything? The inquiring mind of youth will find answers to all these questions, even if no response is given! 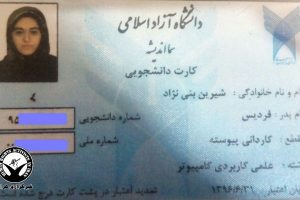 One of the three expelled students from Sahand University. The injustice is breathtaking. This momentary regime has elected to injure Sina and others for no crime but their own inability to embrace reality and guide their people. We pray that all true souls will step forth to honor youths with such heroism as children of their own, whose courage and steadfastness bring credit to humanity, itself. What’s the Iranian regime scared of? Not allowing Bahais to attend higher education is another pethatic act from these backward people. I am a Brazilian and Bahai, I would like to send you Sina and the Bahai youth in Iran my love and pray. Very soon all this will be history, but what really will be as example for the world will be the steadfastness and courage of all of you beautiful youth of Iran. May GOD be with you. This life of ours is a trial by HIM. Thus, pray for HIS mercy and strength to overcome these obstacles. May Our Lord make way for the Bahai’ Youths of Iran in getting required education to be an able man. And do pray for us as well that we may succeed in our lives that we may become the hands of the Cause of GOD. Prayers are strong so please pray for us as well.